Send today this charming & elegant pink phalaenopsis orchid plant to someone you like and admire in Spain. We guarantee same-day delivery of flowers if you place your order before 14h (Spain). 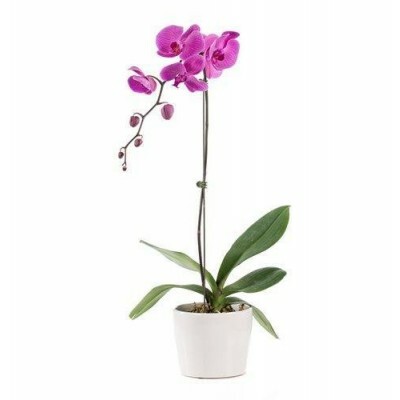 Beautiful phalaenopsis pink orchid plant (one stem) with delivery available to all cities in Spain. Floresnaweb offers same-day delivery of flowers and plants to all cities.